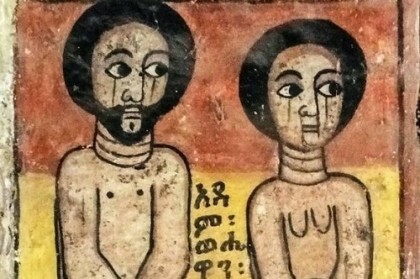 This talk will travel to a qebele (village) in Northern Ethiopia called Abreha we Atsbeha, so named for its magnificent rock-hewn church, which has been in continuous use since at least the tenth century. The subject of Mark Dodd’s film Ethiopia Rising, and the recipient of the UN Equator Prize, Abreha we Atsbeha is also home to one of the world’s best-documented case studies in participatory, community-led landscape restoration. What role might the unique cosmology of Abreha we Atsbeha play in catalyzing such socio-ecological action? One religious holiday–Debre Zeit–may offer a glimpse.